Last week, Senator Rand Paul of Kentucky announced on the Sean Hannity show that he was endorsing former Massachusetts Governor Mitt Romney for president in the 2012 Republican nomination. The typical response from a number of my Facebook friends was quite hostile. 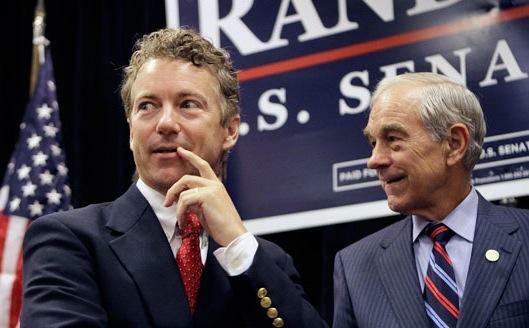 As the argument went, how could Rand Paul endorse a liberal like Mitt Romney when the champion of liberty and Senator Paul’s father Ron Paul is still in the race? I would wager that quite a few people who are upset with Rand are fairly new to the political game and therefore don’t understand how the endorsement game works. For example, closer to home, State Senator Mark Obenshain (VA-26) recently sent out an email encouraging citizens to vote for Representative Bob Goodlatte and George Allen in the Virginia Republican primary on Tuesday. Now, as you may recall, I have endorsed both Karen Kwiatkowski and Jamie Radtke; obviously I do not agree with Obenshain on this matter. But, when it comes to his votes in the General Assembly, I maintain that Senator Obenshain is one of the best members of that body. Should this one simple issue of endorsement outweigh a multitude of good votes and legislation? Conversely, if a poor candidate or politician endorses a liberty-minded candidate, should that announcement erase a long slate of bad positions? As I wrote many years ago, Virginians for Life sent out an email about then State Senator Ken Cuccinelli back in 2008. They compared him unfavorably to the biblical Judas due to his endorsement of Representative Frank Wolf. I would not have endorsed Wolf as he and I disagree over the underlying philosophy of proper governance. However, if we all reacted by condemning Cuccinelli over this rather trivial matter, what would be the end result? Would we still have a spirited attorney general that is willing to fight against Obamacare and other overreaches of the federal government? Be it for better or worse, endorsements are one way elected officials pay back favors and reward loyalty. After all, here in the 6th district, both Bob Goodlatte and George Allen have helped a number of our current politicians gain their office and thus many of those folks feel that they need to repay that debt now. Moving back to the national level, the theory goes that it is the duty of every good Republican politician (who wishes to remain relevant to the party) to offer some measure of support for the party’s presidential candidate. But let’s return to the first question. How can Rand Paul endorse Mitt Romney while Ron Paul is still in the race? The response is quite simple, but not an answer that most Ron Paul supporters will either accept or want to hear. I hate to say it, but short of a major miracle or divine intervention, Mitt Romney is and will be the Republican nominee for President. Although it is true, as repeatedly pointed out these last few days, Rand Paul is not Ron Paul, the simple fact remains that Senator Paul is one of the few liberty-minded legislators in the United States Senate. In one fairly recent example, while most Senators were either apathetic, or downright hostile in the case of Senators McCain (R-AZ) and Graham (R-SC), about defending our civil liberties during the debate regarding the indefinite detention of American citizens without trial, Senator Paul remained firm in his efforts to try to derail this effort. Regardless of this minor endorsement issue in the grand scheme of things, as long as Rand Paul continues to embrace the key principles of liberty and the Constitution, I am proud to support and defend the Senator from Kentucky. And yes, if you are wondering, these thoughts do come from a former Ron Paul staffer who actively volunteered for his former boss in this election cycle. I just hope that the rest of my like-minded brethren will realize that Rand Paul is a great senator and, endorsement or not, we need to support and elect more men and women like him.